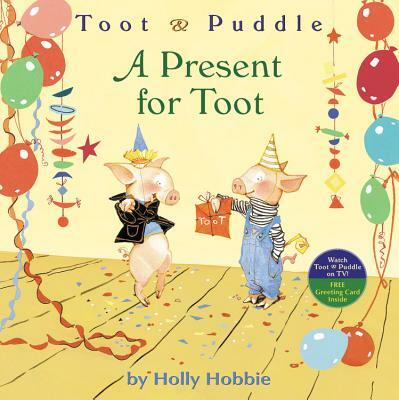 It's Toot's birthday, and Puddle wants to get him the best present ever! He goes to the Blue Ox Bookstore, but he can't find the right book. He visits a hardware store, a sports shop, an appliance store - but nothing is quite special enough for his best friend. Puddle wonders if he will ever find the perfect gift in time for the party, but just as he is about to give up, Toot's present finds him. With a delightful mix of humor, warmth, and a classic style all her own, Holly Hobbie captures all the magic, fun, and joy that surrounds birthdays and celebrations. Best of all, this deluxe paperback edition comes with a greeting card that kids can punch-out, personalize, and send off to someone special.